These glasses feature transitional Yellow to Smoke lenses in a ultra-cool gloss black frame.. 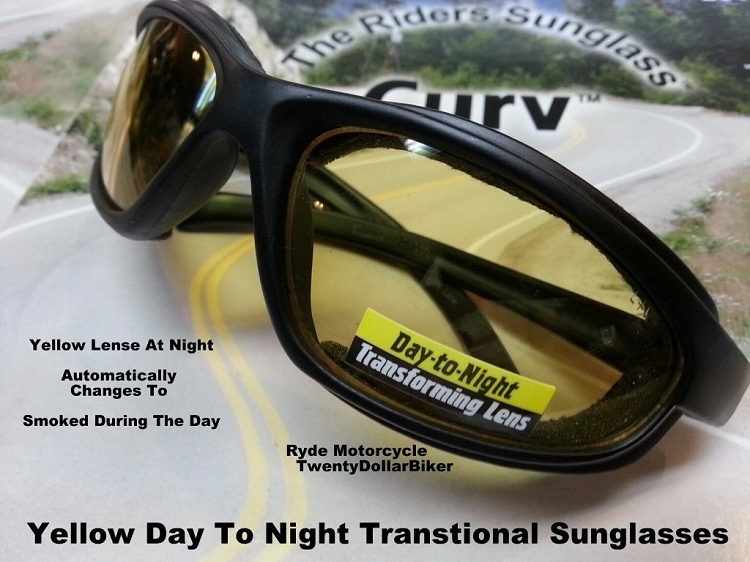 These transforming lenses automatically darken on bright days and then adjust to Yellow on overcast days or at night! 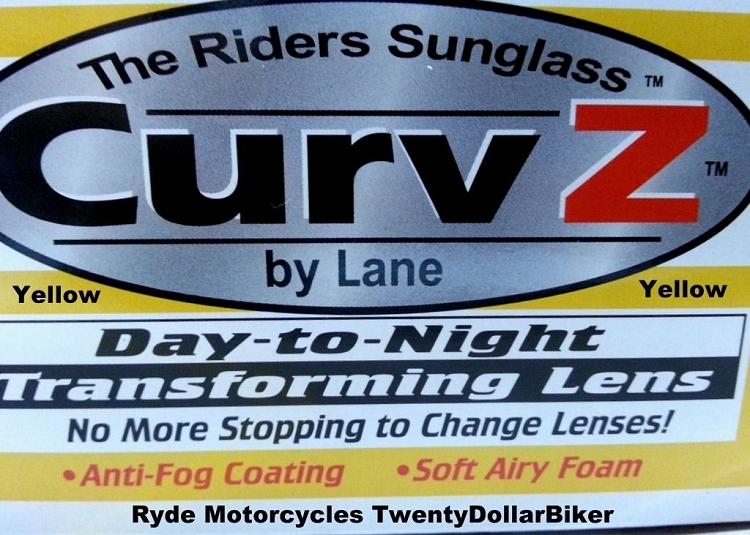 These Anti-fog, distortion free riding glasses are the perfect eye wear protection for motorcycle riding. These top quality shatterproof glasses blow away cheap imitations. Comes with a Free clip-on pouch which can be used to carry and clean the glasses. 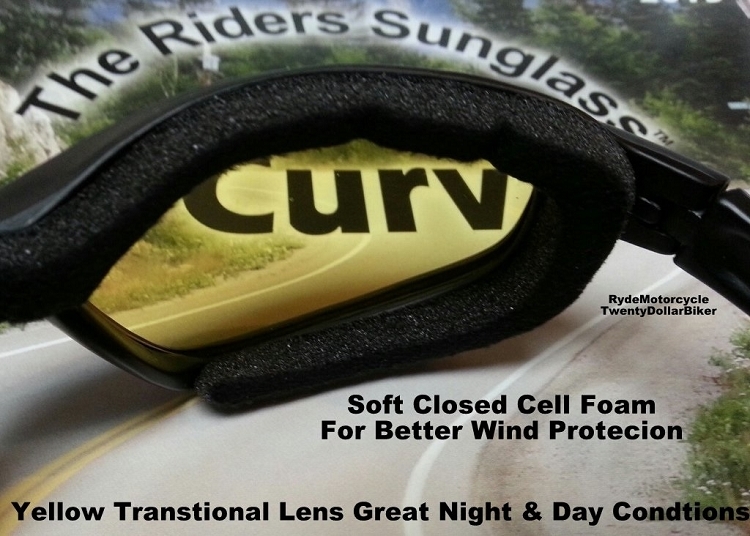 The lightweight design is comfortable to wear and the soft foam seals out wind and dust from your eyes. After a couple of rides you will wonder how you were able to ride your motorcycle without these glasses. Reasonable price, comfortable design, shatterproof, anti-fog lenses and a Free pouch and adjustable neck strap make these glasses a great buy. 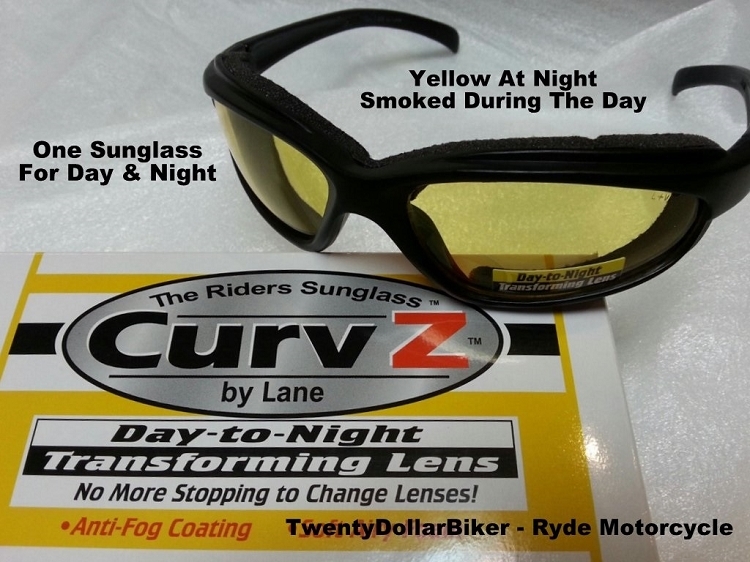 These glasses will make a great addition to your riding gear! The interior is finished with extremely comfortable padding for rider comfort. Top quality & low price make these glasses a best buy! Copyright TwentyDollarBiker.com. All Rights Reserved. eCommerce Software by 3dcart.